Customized Blue raspberry –flavored non-SPF bullet makes a value effective gifting choice for advertisers who plan to seek large quantity giveaways. This lip balm bullet packs 75% of product content usually offered in regular chapstick and it easily becomes a palm fit way to plug away dryness with ultimate blue raspberry flavor. 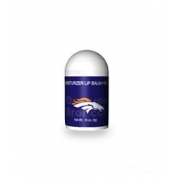 This lip balm bullet can be distinguished with its domed cap and push up bottom. Health quotient – No harmful chemicals. No phthalates. No paraben. No harsh synthetic flavorings used. FDA approved ingredients. No animal testing. Directions – Keep out the domed cap and push up bottom of the lip balm bullet and glide it over lips. Store it in cool and dry place for long use. 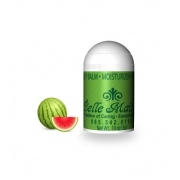 Gifting Favors- Custom promotional mini lip balm offers best value for money and advertisers working in mid or low budgets and targeting large section of customers at one go can employ it during campaigning.